Bring the kids by Club Kids this week as we turn into dinosaur explorers! We will have many crafts, books, workouts & activities all about dinosaurs. We hope to see you all this week for a stomping good time! Club Kids will be learning all about our community this week & all the important people & jobs that make up a community. The children will have the chance to make police hats, library cards, mailboxes & more crafts, along with reading books and having kid-sized workouts with the community theme! We hope to see you all this week! 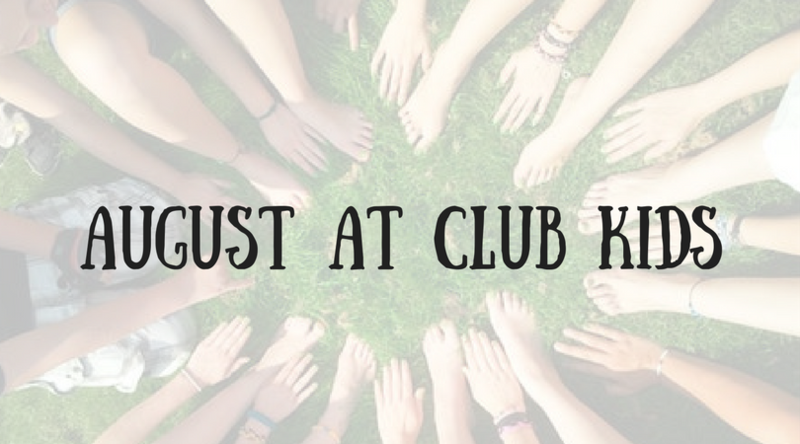 Reminder that Club Kids will be CLOSED 8/21-8/25 & 8/28-9/1. We WILL be open both Saturdays 8/26 & 9/2. We will be back open regular days & hours on Tuesday 9/5 and will kick off September with Back to School week. Thank you!